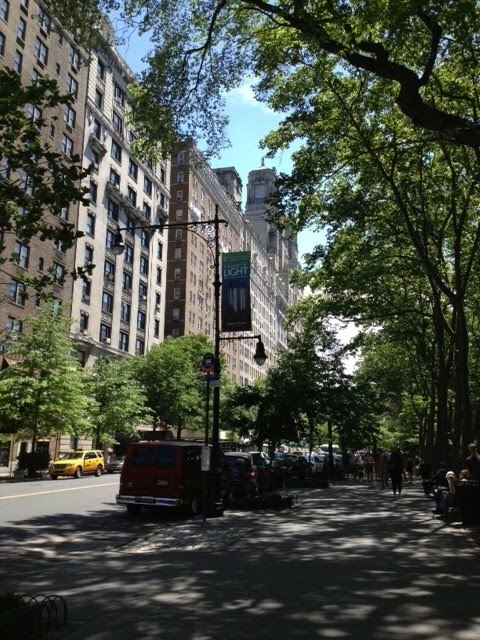 The most beautiful Sunday morning on 81st Street in the Upper West Side. My sister had been wanting to visit the Creature of Light exhibit on nature's bioluminescence at the American Museum of Natural History, so the four of us trekked over on Sunday to check it out. The walk-through is really interesting and educational. 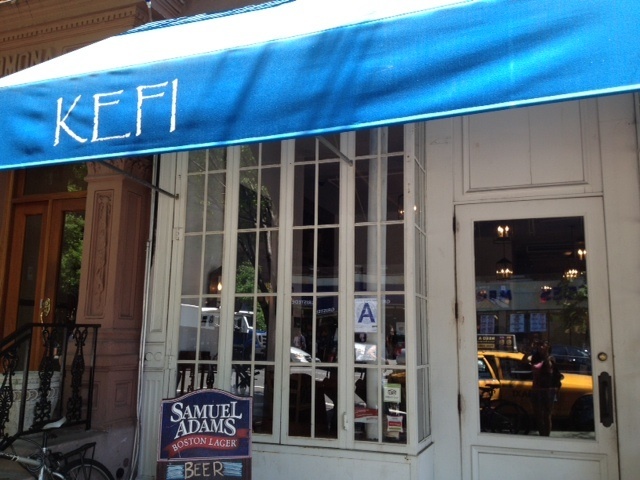 After the museum, we stopped in to Kefi, a Greek restaurant my friend had recommended. 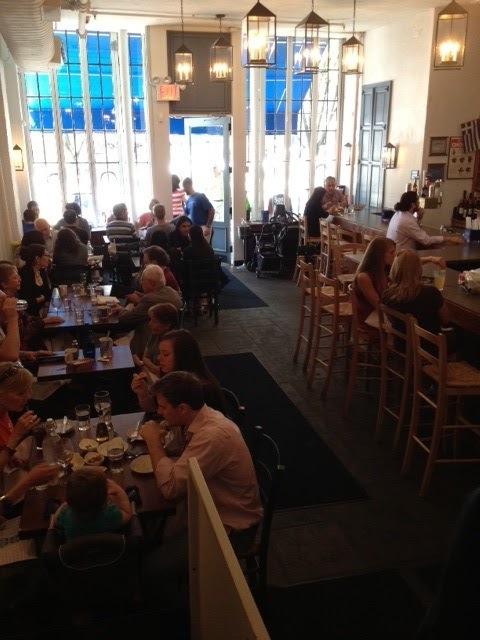 The spacious split-level restaurant was pretty crowded when we arrived at 1:30pm. 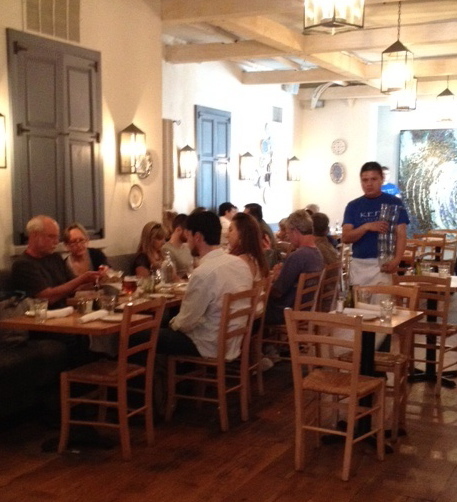 Luckily, we were seated quickly even though we did not have a reservation. 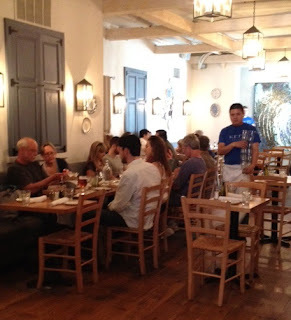 The back of the dining room where we sat. 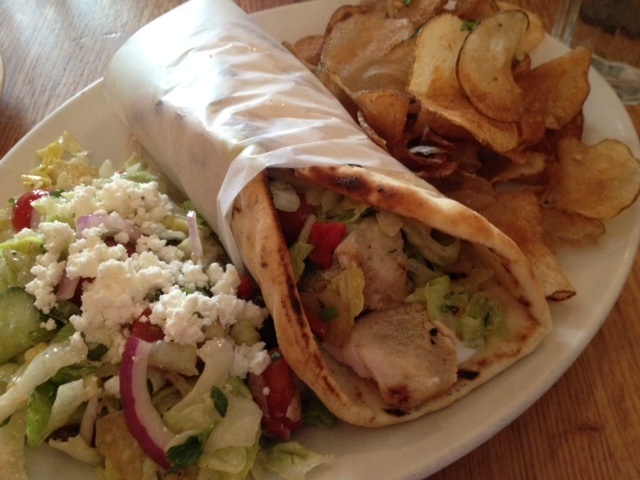 Chicken Souvlaki, $12.50: tzatziki, pita bread, with Greek salad and homemade chips. Very generous portions. These can easily be split between two people. The salad was very fresh and mixed with a light and refreshing dressing. The chicken in the wrap was so tender and moist, and sandwiched in a soft and chewy pita. The chips were addictive-- so crispy and lightly salted. 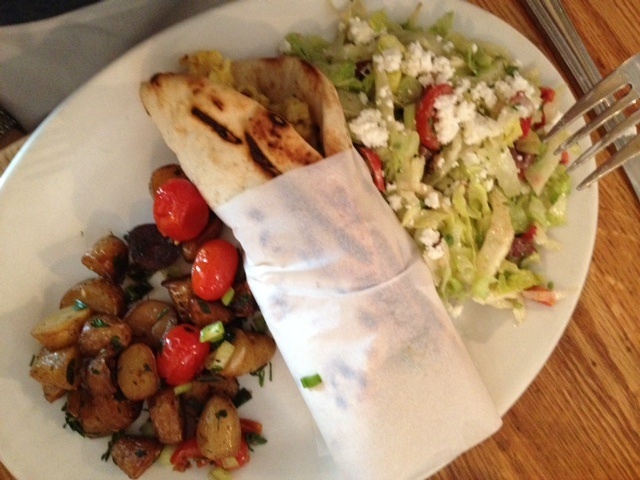 Kefi Egg Pita Wrap, $8.95: scrambled egg, Greek sausage, fried potato, spicy and sweet peppers. The potatoes were deliciously seasoned. Besides really enjoying everything I tried, another great thing about Kefi was how fast the food came. We ordered, and probably only waited around 10 minutes before everything was served. Our server was friendly and great about checking on us as well, so when we were ready for the bill, we didn't have to wait long to request it.